As a teen who spends time in a hospital, it’s easy to feel isolated and distant from your “normal” life. Some teens and young adults feel as if their disease becomes their identity, that they are losing a part of their personality. That’s why we offer ShandsSpace. ShandsSpace is a interview-guided, poster-sized piece of art that you create with information about yourself — favorite movies, TV shows and music, your hobbies, favorite quotes and goals. You design and decorate your ShandsSpace and we’ll hang it in your room so that everyone that steps in the room can find out who you really are. Ask a Streetlight Team Member how you can get started on your own ShandsSpace! This is a story of the patient who inspired the ShandsSpace written by our founder, Rebecca Brown. Miss Ta Vis Johnson. She was proud of that name – but everyone that entered her hospital room in the PICU said it wrong. She was called Tarvice, mostly or Travis. In the four months I was with her I saw her correct the same medical staff over and over again – finally just mumbling the correction under her breath. Mostly she just stopped speaking or acknowledging anyone talking to her. I was called in to see her in my work as Director of Palliative Care. The social worker said “Good luck! She is non-compliant 17-year-old African-American girl with a major ‘attitude’.” “Her diagnosis?” I asked. “Perinatally-acquired HIV that is now full blown AIDS. She is not expected to leave the hospital this trip” As I was leaving he added, “Oh yeah…she’s smart. This is her senior year. She was headed for valedictorian”. I walked down the hallway to her room, letting it all sink in. “Of course she has an attitude”, I thought. First thing I did was get her name right. We talked that first day for 2 or 3 hours. When I left I told her that it had been an honor to meet her and know her, and I meant it. She said, “I like you too, cuz you didn’t come in here with a clipboard.” And that’s how we started. Ta Vis was an 11 year old girl when her mother died of AIDS, and mother and daughter had been very close. Why Ta Vis was not checked for HIV then , I do not know, but she lived 13 years with that virus running through her system before she was tested. By then it had done a great deal of damage to her heart and kidneys. By then also, she had also already established herself as the ‘smart kid’ in school, and having the HIV diagnosis wasn’t going to change who she was or how she applied herself at school. She admitted to not dealing with it – thinking maybe it would not be true if she just acted like it wasn’t. And, it was not talked about, even at home, and certainly not in a rural southern town in the Florida panhandle. I went downstairs to my office and got a piece of poster board, some stencil lettering, markers, tape, and scissors. Ta Vis thought it was a stupid idea, but she was going to let me proceed. I said, “What do you want on this board? What do you want them to know about you?” Two things were certain – she wanted them to know she was smart and that she was pretty. She wanted her four senior poses in the four corners and her grade point average in large letters in the middle. She wanted her name (with correct pronunciation) on the top and all her honor societies listed below. 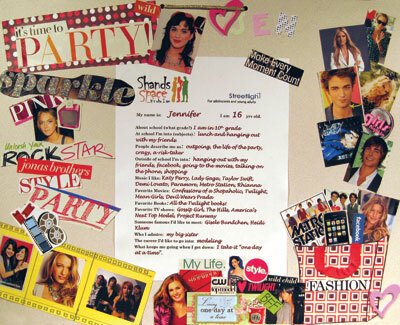 It took two days to make and by the end of this project, she was creating this identity board by herself, and I was just watching. I won’t try to tell you that Ta Vis left the hospital later in February because of this identity board we posted on her glass door in the PICU, but I do know that people talked to her differently. Even the guys bringing up the food trays were talking to her now. And some of the residents had been in the same science honor society, and were telling her so. In the play RENT, there is a beautiful song that asks “Will I lose my dignity? Will someone care? Will I wake tomorrow from this nightmare?” Her dignity was returning. I can’t explain her recovery in medical terms, but before long the dialysis machine was coming in less often. She was sitting up in bed. She could see her toes and badly wanted a pedicure. She was looking in the mirror, and wanted to wash her hair. She was turning a corner. She knew she could not be valedictorian after losing four months of school, but by God, she was determined now to graduate and walk across that stage with her head held high. And that she did – and received 8 scholarships, walking up and across that stage more than any other student from her high school – no small feat for a girl who could not walk to the bathroom two months earlier. Her life was high school, being a good student, and being the smart girl that friends and relatives came to for advice. She wanted to close out that story successfully. 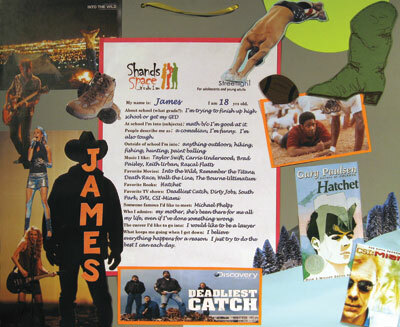 At her Memorial service I shared her legacy – the ShandsSpace (personality collage) that every teen at Shands Children’s Hospital gets to hang on their door because of Ta Vis. She had shared her pain with me, and it was not about her heart or kidney failure– it was psycho-social-spiritual pain. And for most teenagers that is the greater injury – the loss of identity, dignity, and meaning-making in the rush of medical treatments and hospitalizations. ShandsSpace is Ta Vis’s legacy. The adolescent with HIV/AIDS in rural America has a frighteningly lonely life. As they tell it in her town, Ta Vis died because her heart stopped. It was only in the safety of a hospital room that she found a friend with whom to bare her soul. She taught us and we learned, from an intelligent African American young woman from the pan-handle, who grew up in the valley of the shadow of death with a secret that tormented her soul for want of companionship, understanding, and a friend. Because of Ta Vis, we in Streetlight bear a mission to find others like her, and to try to meet that need.